While not a piece of original fiction as is usually my remit here, I wanted to plug a short factual piece I wrote recently about how the link often made between pirates and the punishment of gibbeting (hanging in irons or hanging in chains) such as you might see in films such as Pirates of the Caribbean is traceable to at least the nineteenth century. This fascination with maritime gibbets is certainly visible in various literary works during the century, and in newspaper articles appearing around the latter half of the Victorian period. 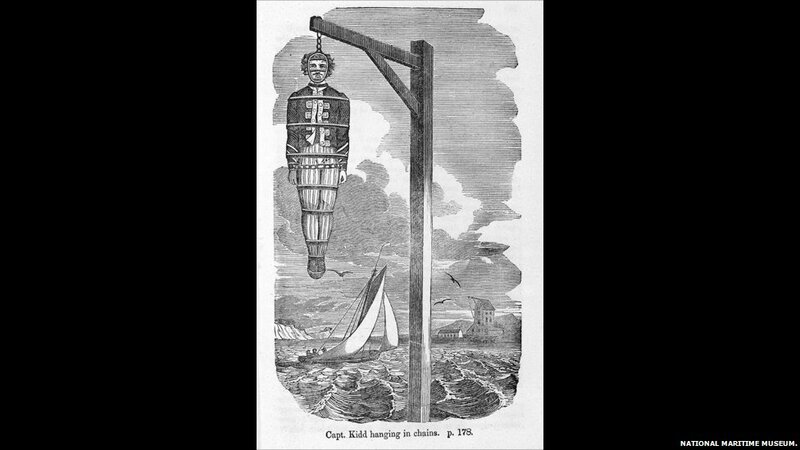 In this post I examine this phenomenon; delving into the history of gibbeting and into the folklore which sprung up around the practice. The post is featured on the Port Towns and Urban Cultures website, a research group attached to the University of Portsmouth. Please check out all the other great maritime themed scholarship while you’re there! This entry was posted in non fiction and tagged culture, factual, ghosts, gibbets, hanging, history, horror, macabre, maritime, pirates, port towns, scholarship, urban by Eilís Phillips. Bookmark the permalink.